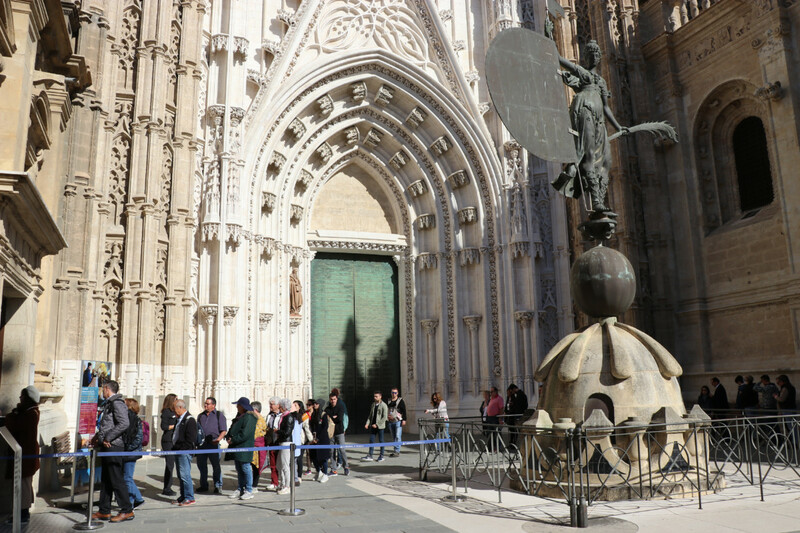 Ticket queues at Seville Cathedral are often long and slow moving. Online reservations are easily made via the cathedral website and cost only €1 per transaction. Visitors with these timeslot reservations skip-the-line and go straight in via the entrance to the left of the queues.